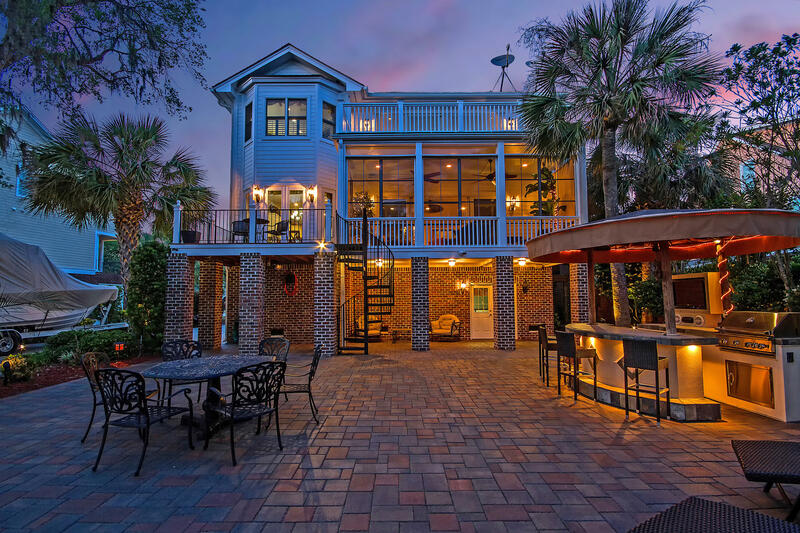 Discover this DEEP WATER paradise in exclusive, gated Plantation Isle. 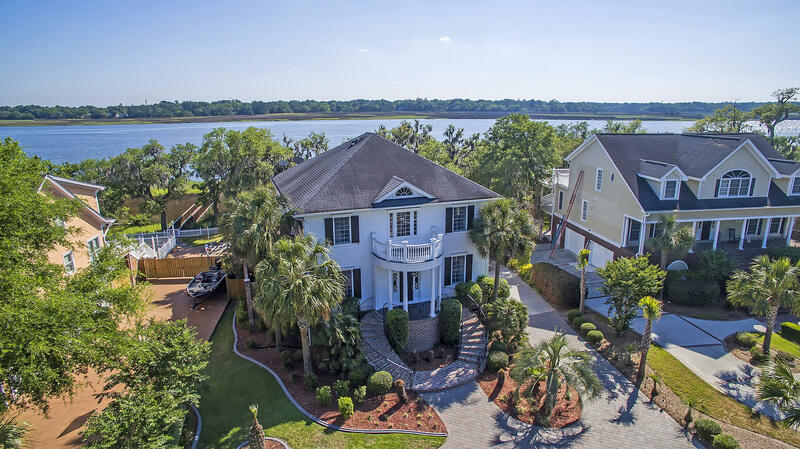 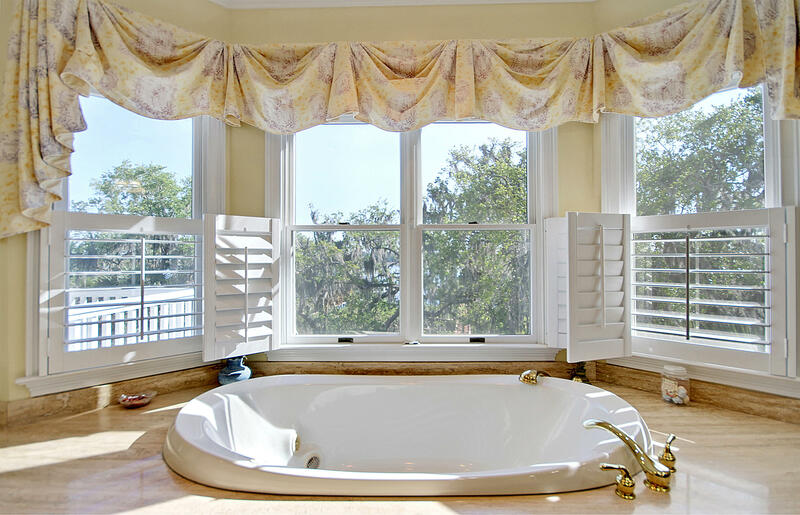 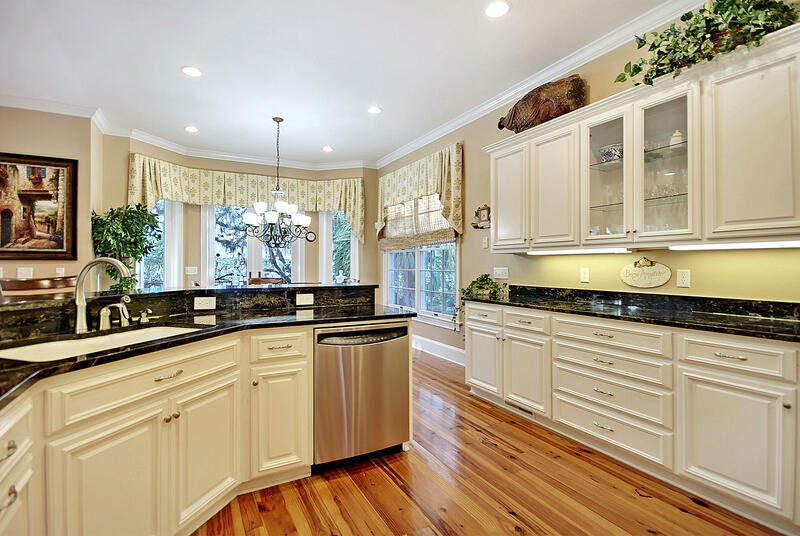 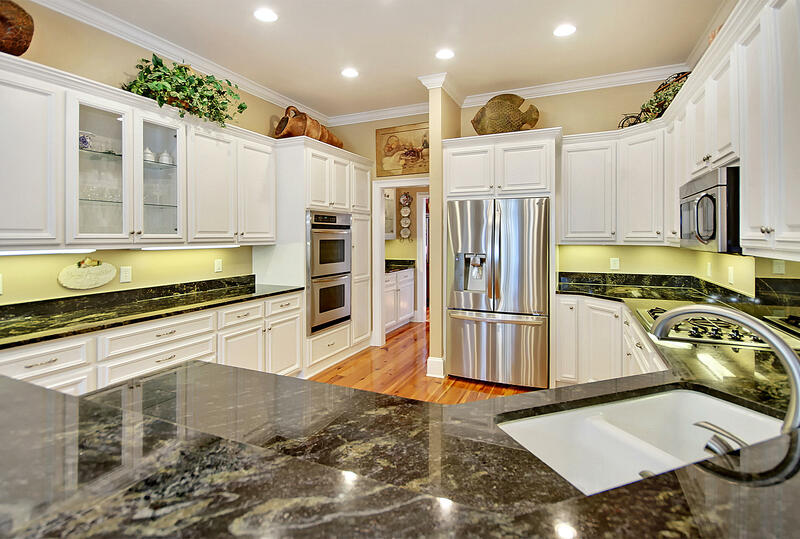 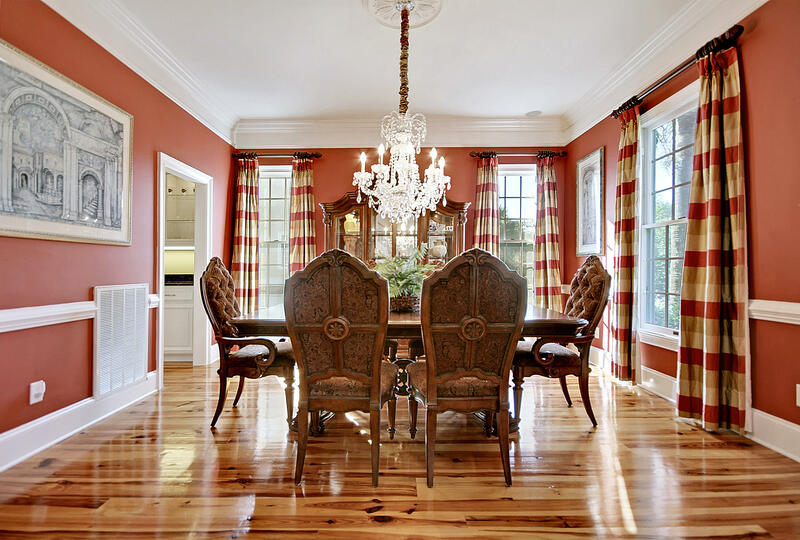 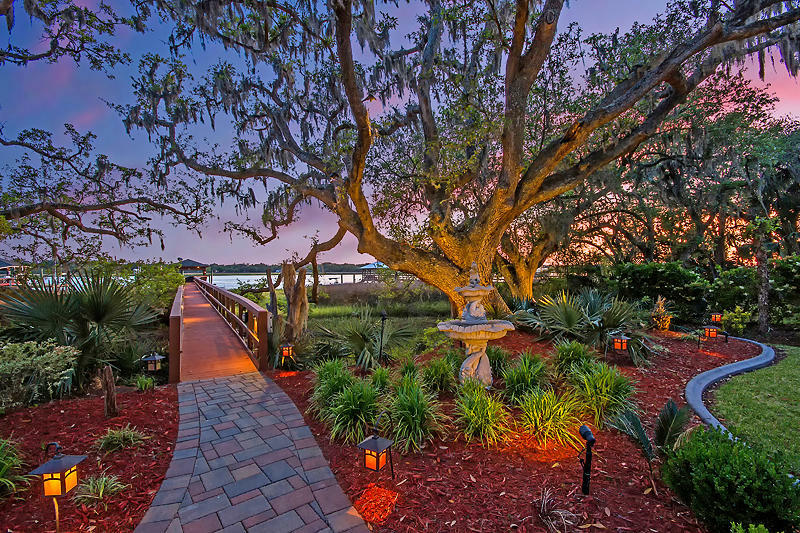 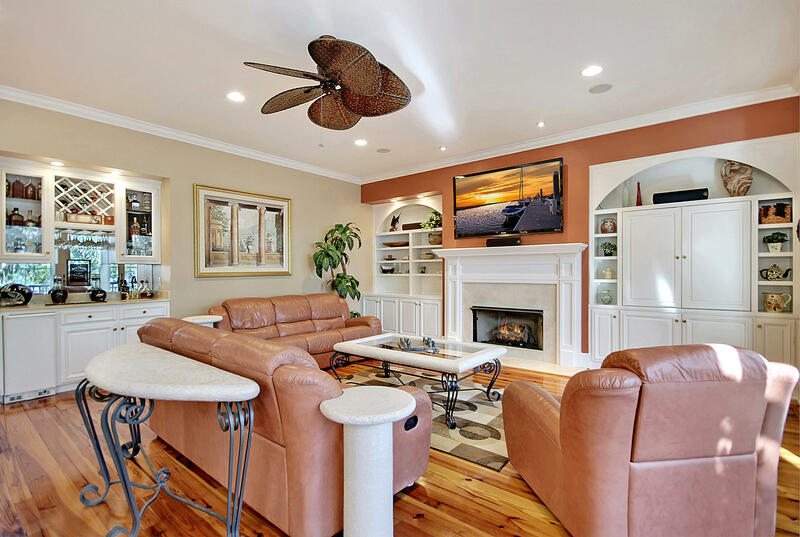 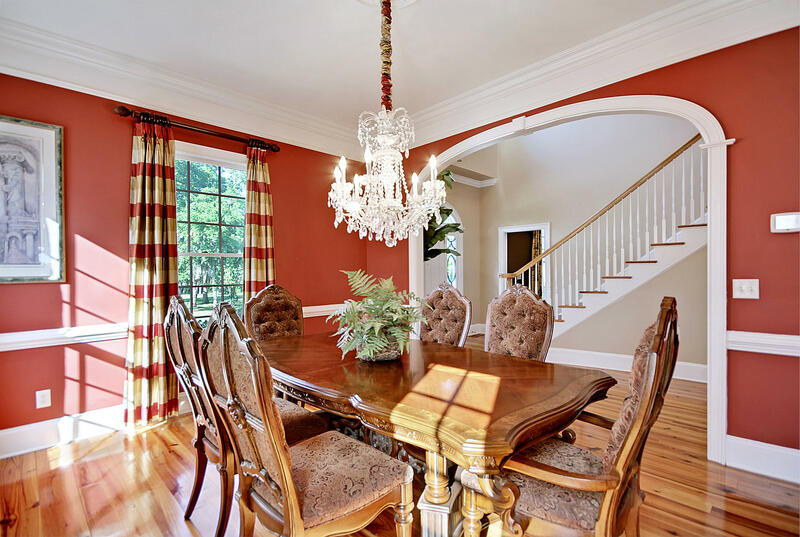 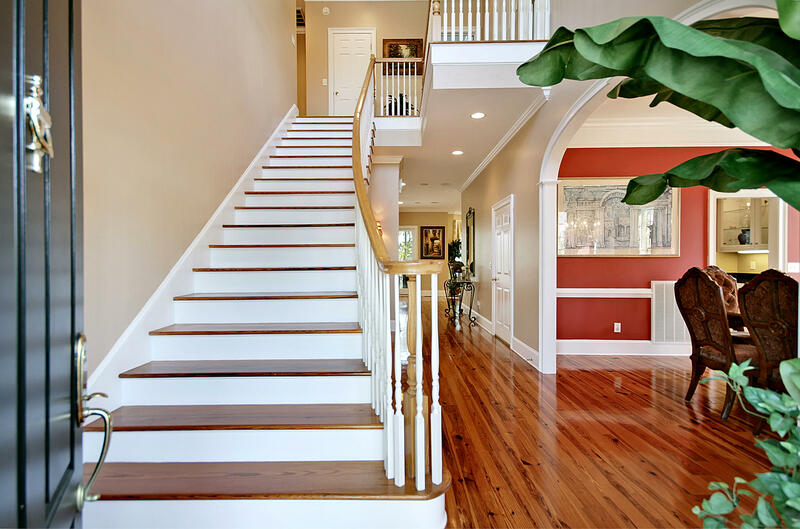 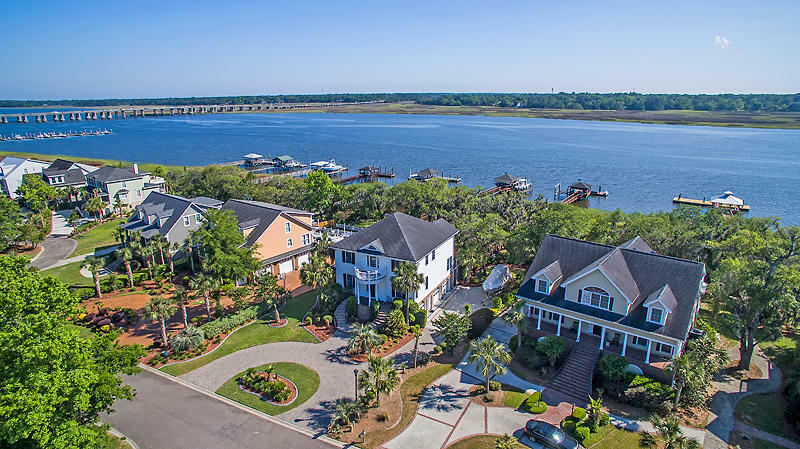 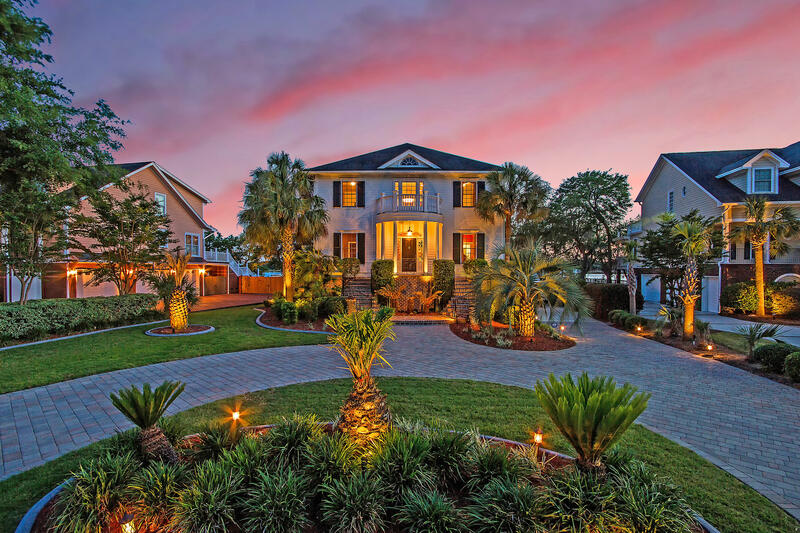 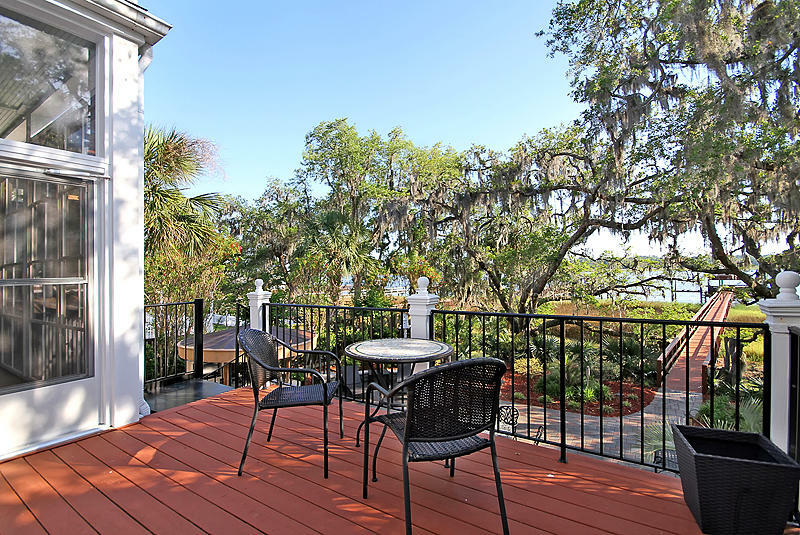 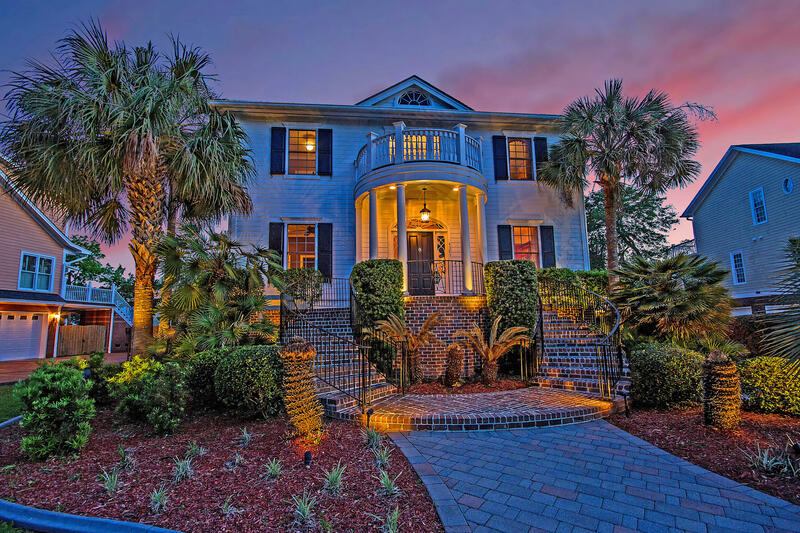 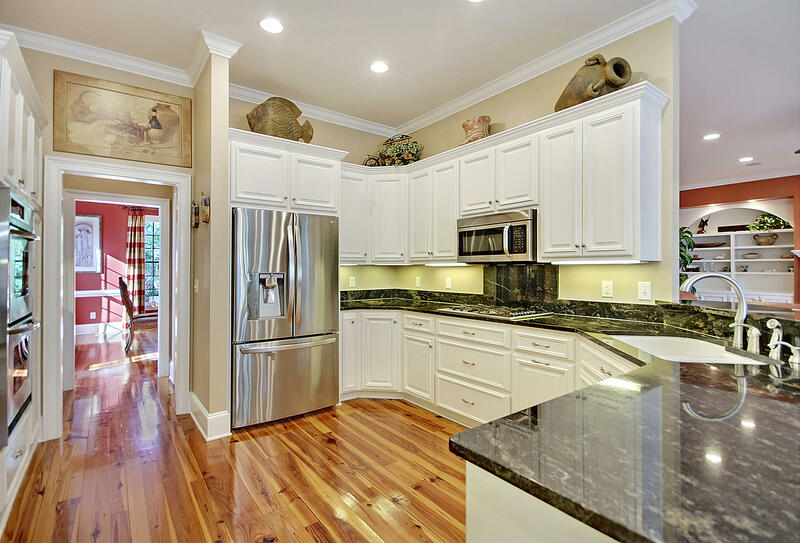 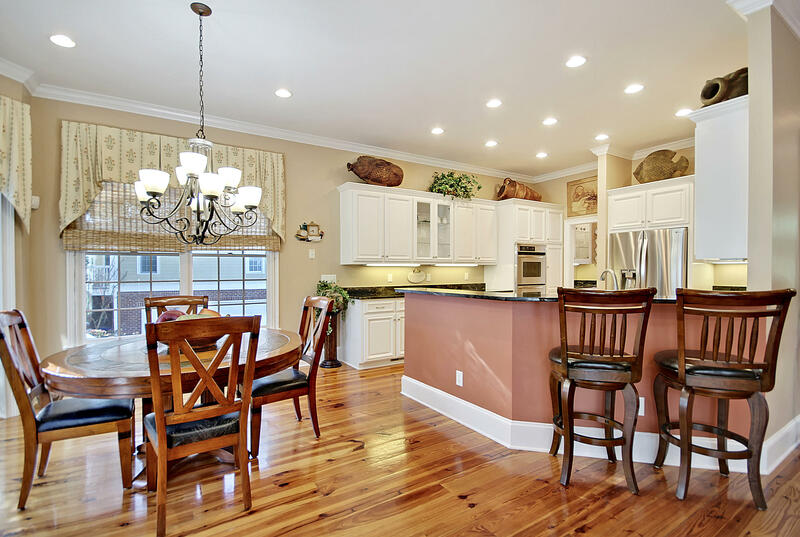 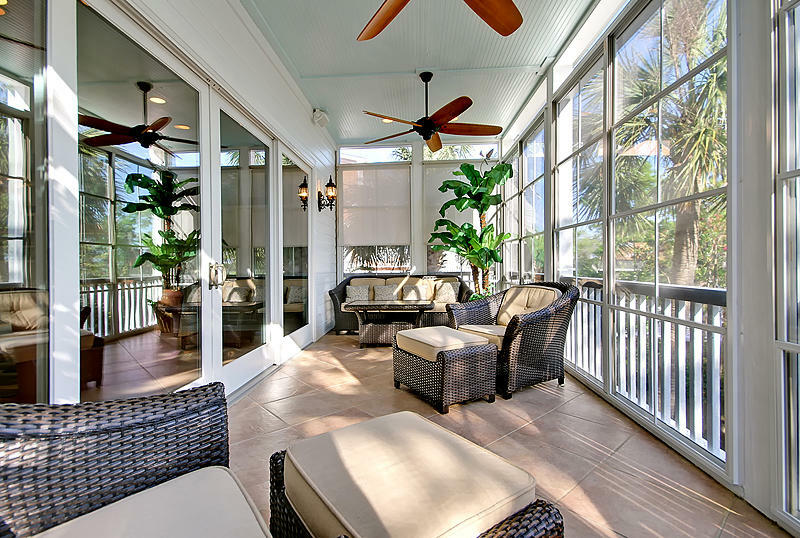 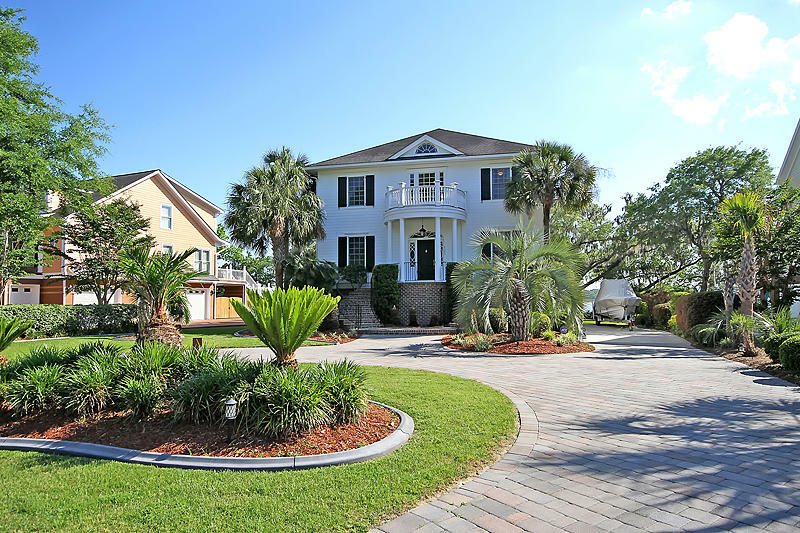 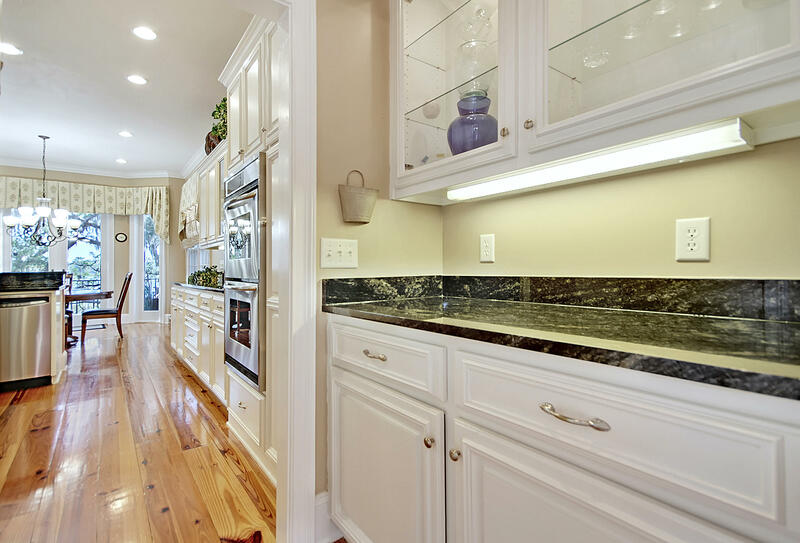 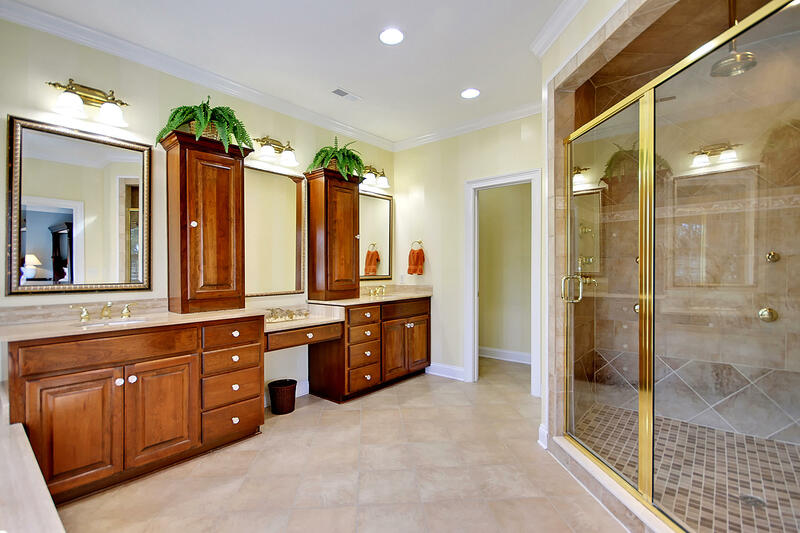 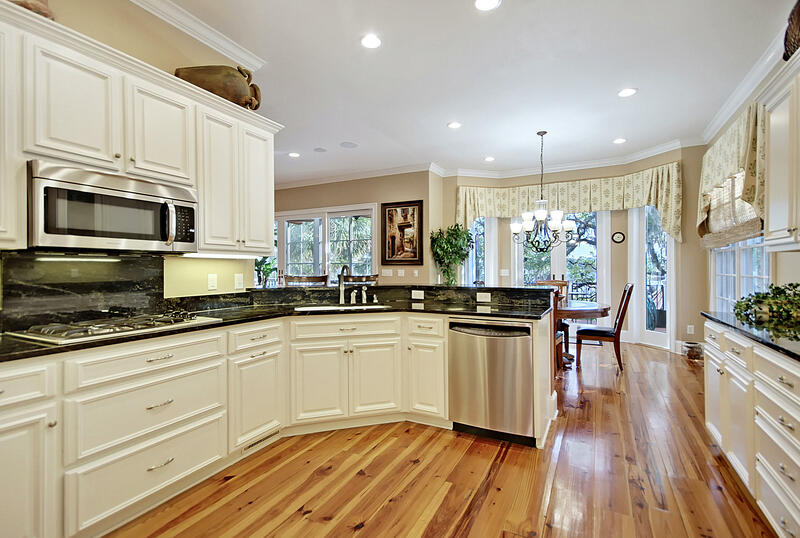 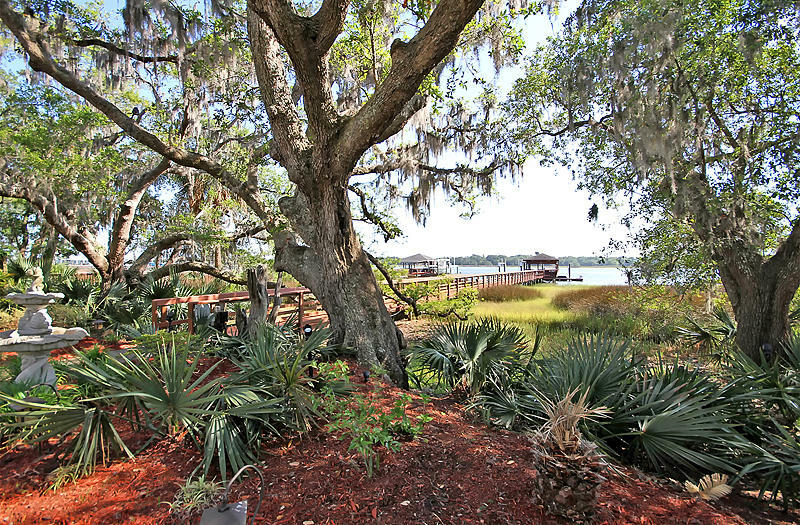 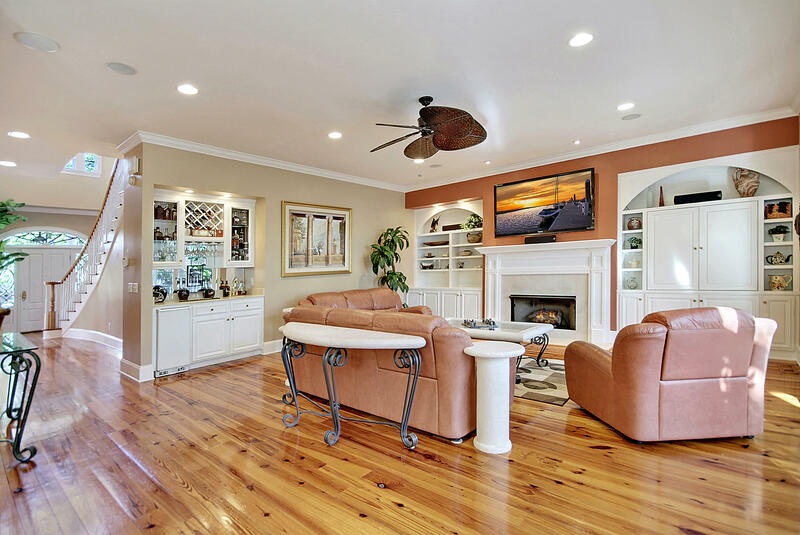 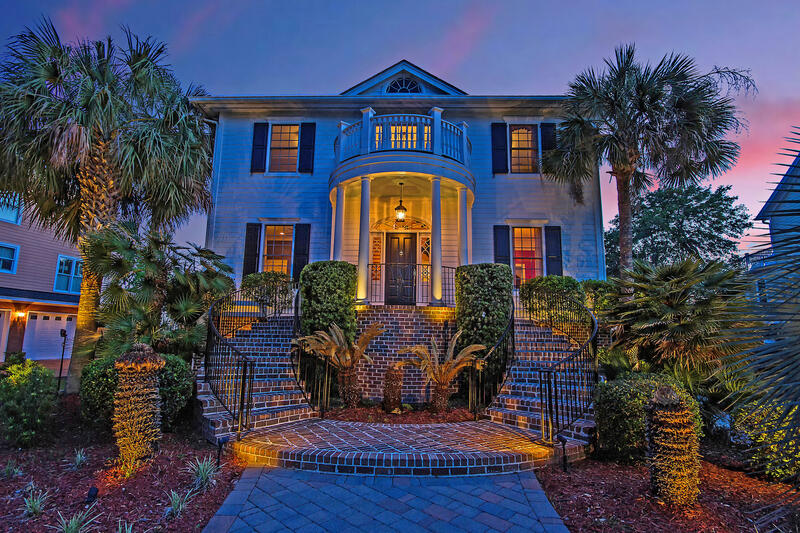 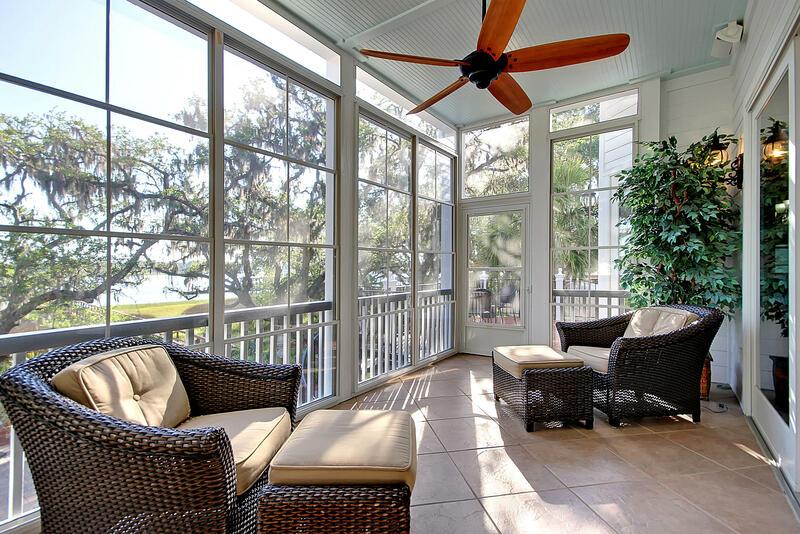 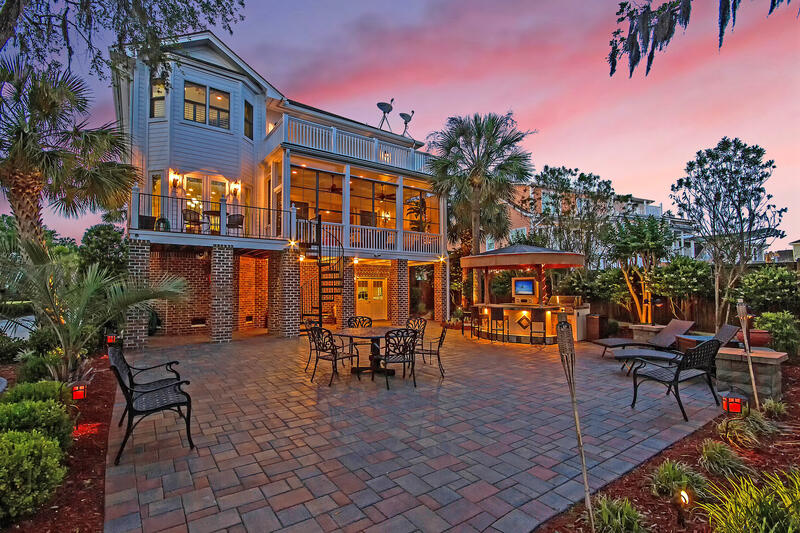 Built for entertaining & low country relaxation, this home feat. 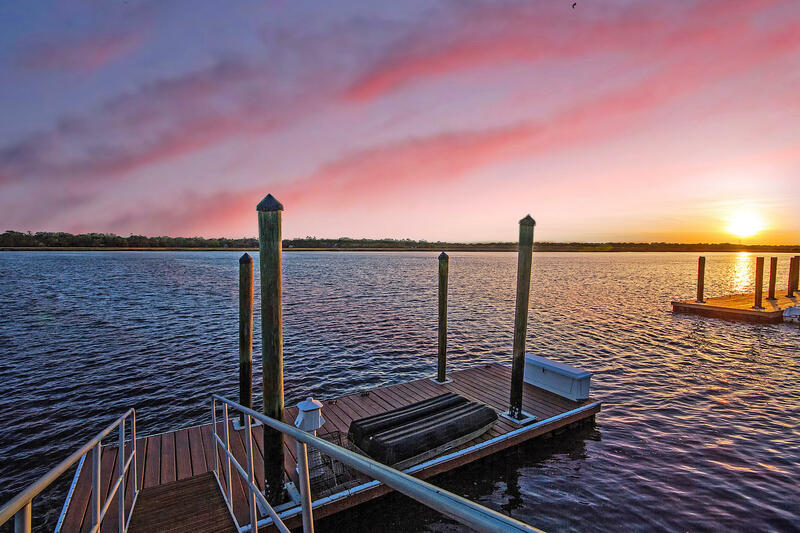 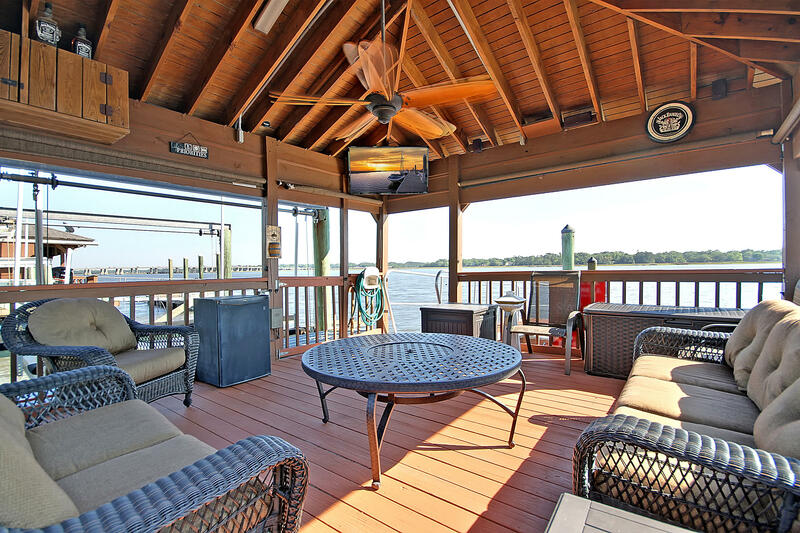 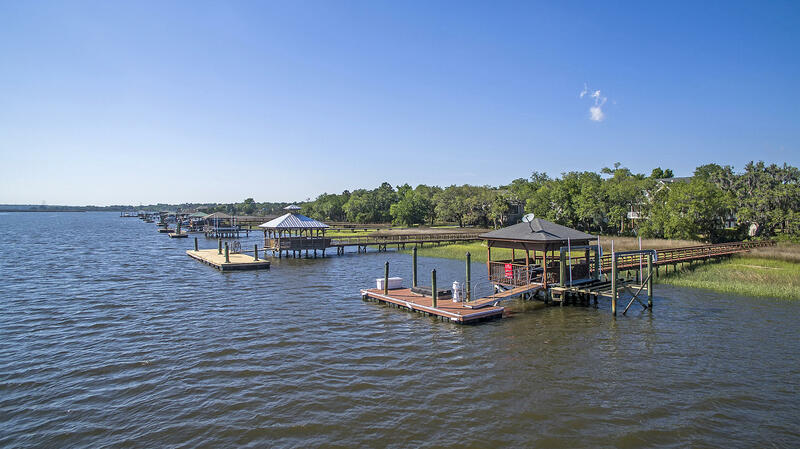 an impeccably-maintained dock, boat lift, floating dock, & large covered pier head w/ a TV hookup, fridge, etc. 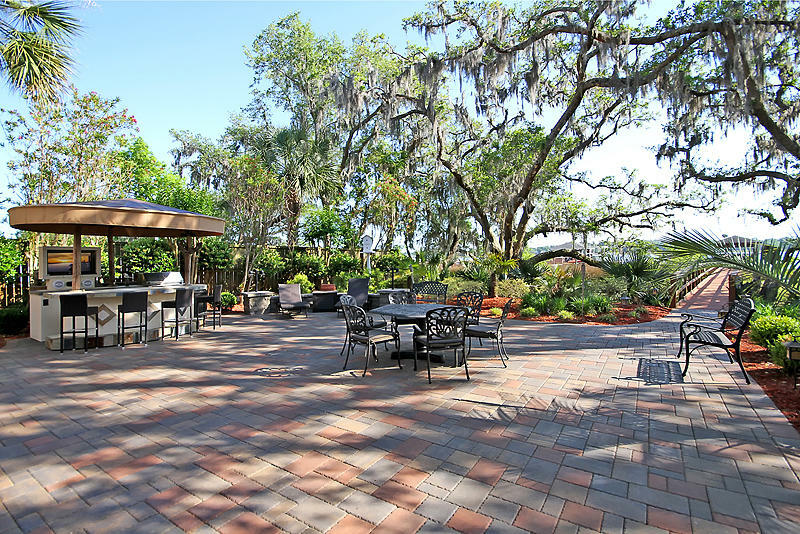 ; stunning vistas & outdoor space; a cabana bar/grill; exquisite low-maintenance landscaping; shady paths through enchanting live oaks, & a private brick paver patio. 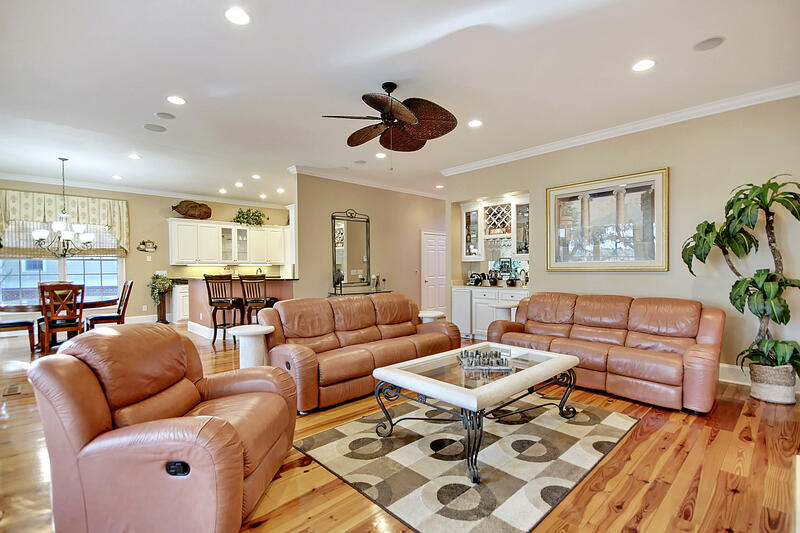 Immaculately-kept, this home gives new meaning to ''move-in ready'' & boasts 4 BRs w/ ensuite BAs, a 3-stop elevator, granite counters, SS appliances, gas cooking, tons of built-ins, high-quality molding, & gorgeous heart pine flooring. 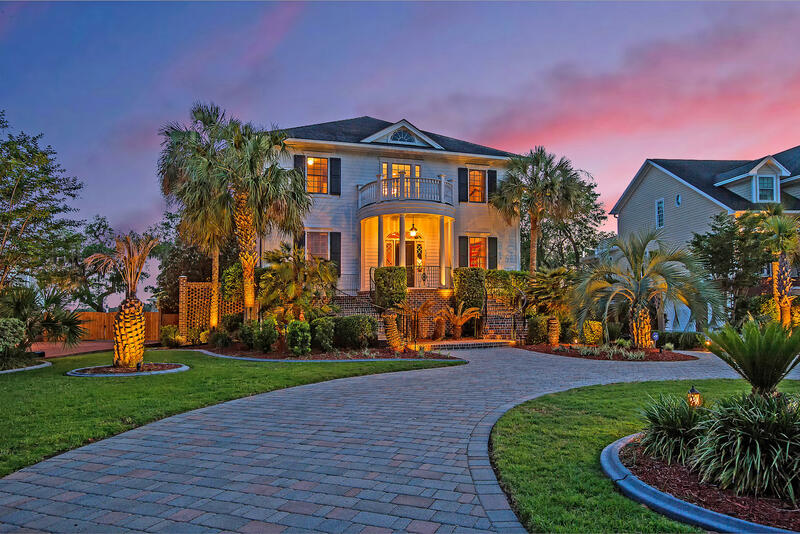 Once welcomed by its circular brick paver driveway & grand brick staircases, this home & outdoor oasis will captivate & you'll never want to leave! 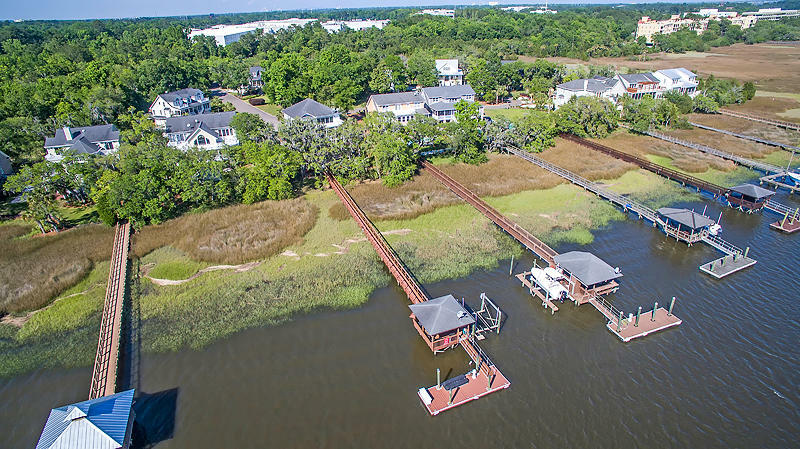 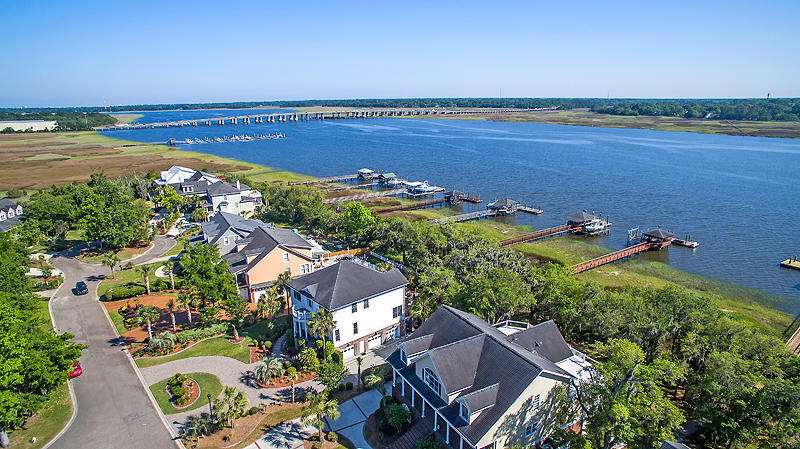 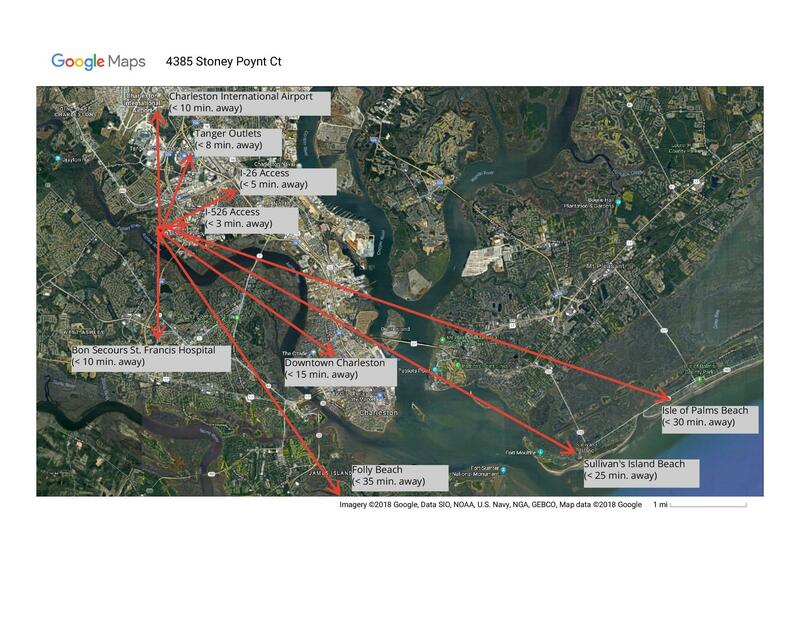 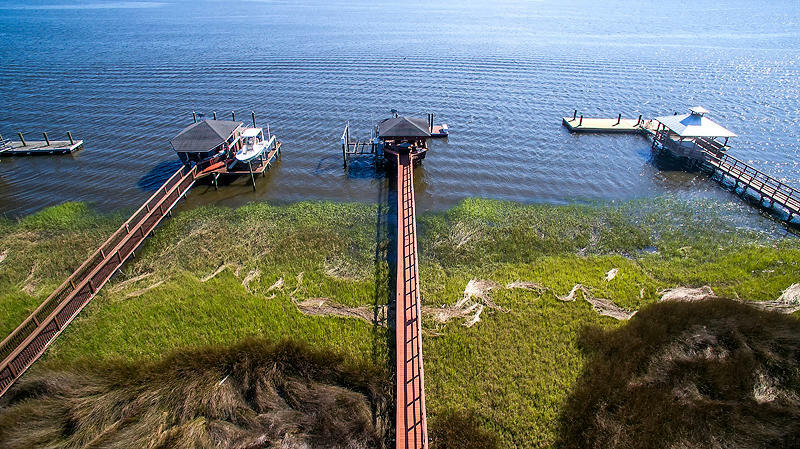 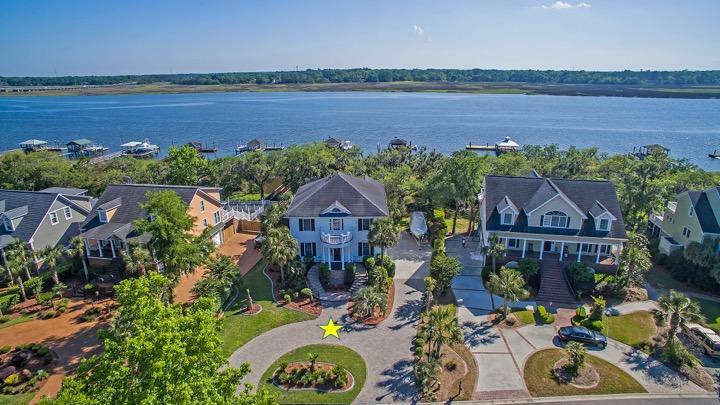 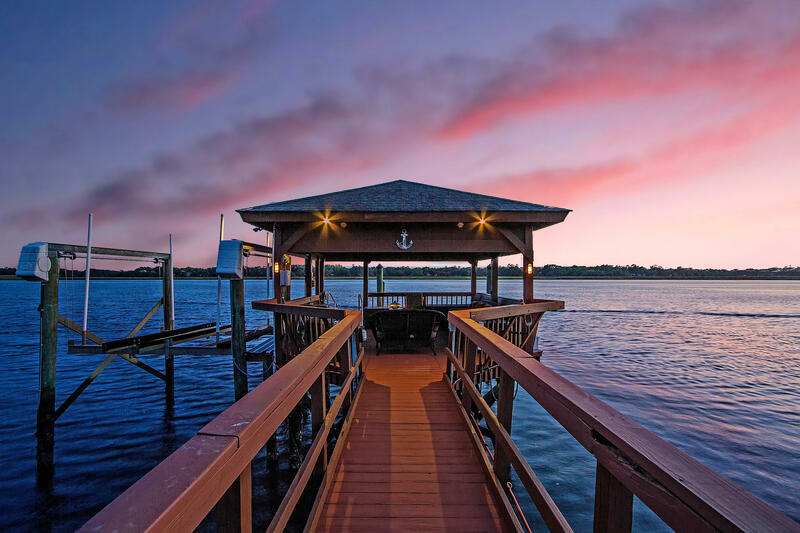 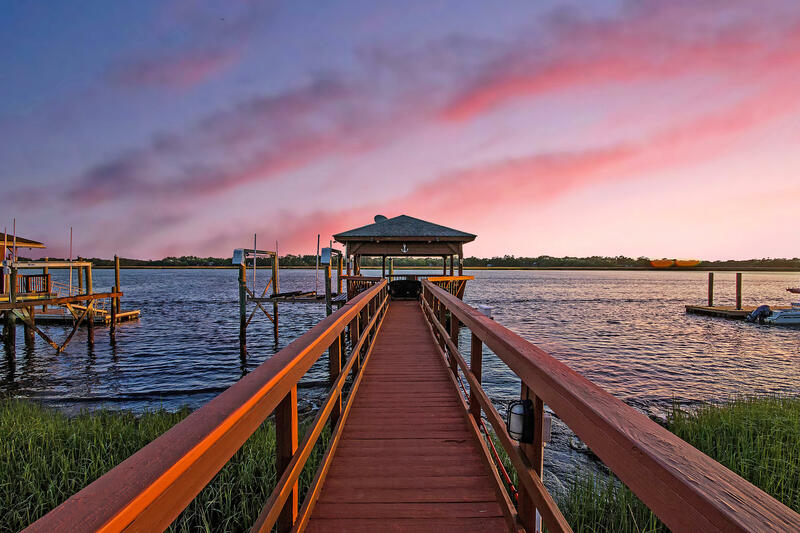 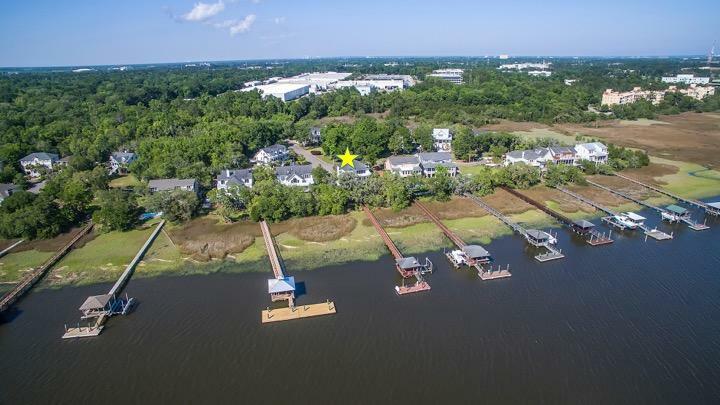 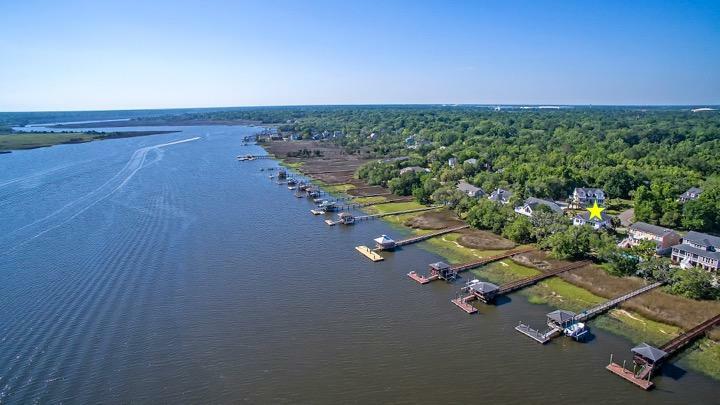 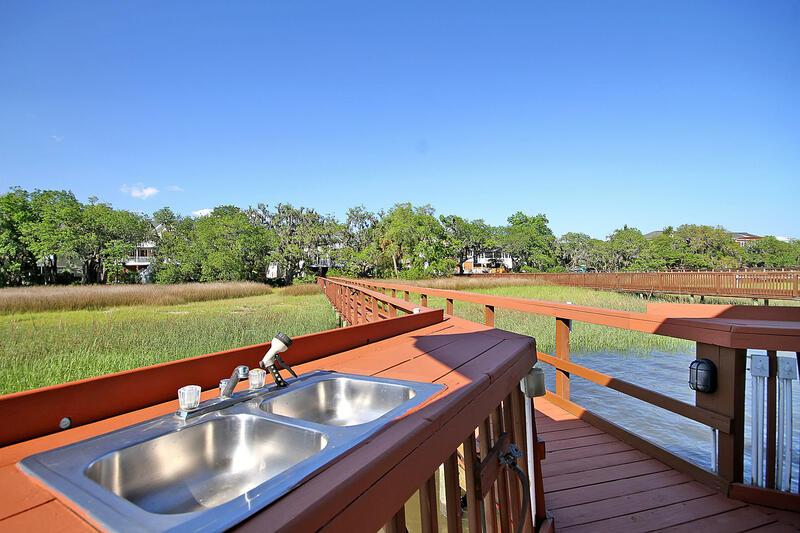 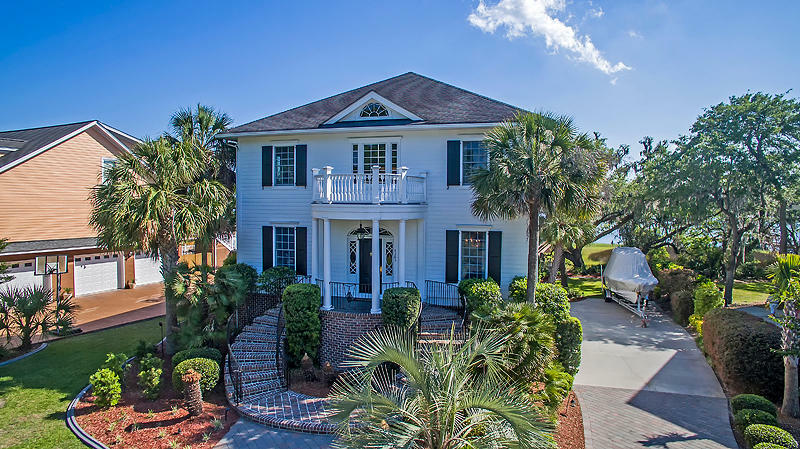 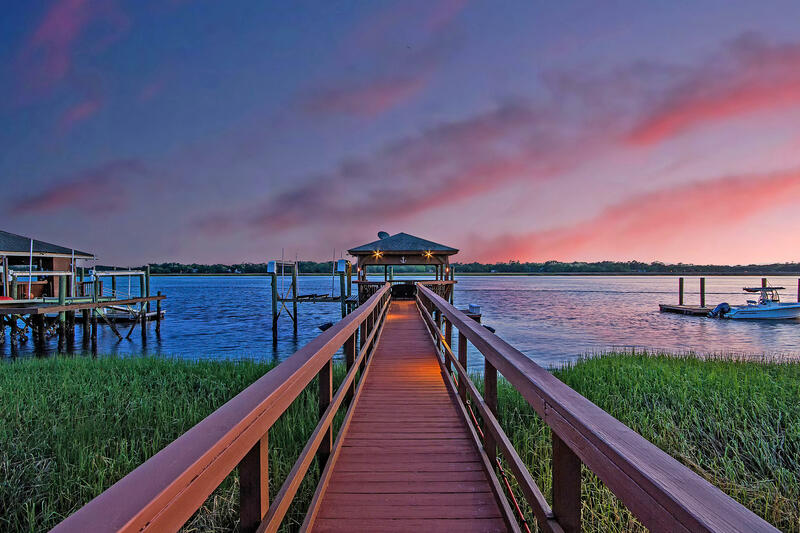 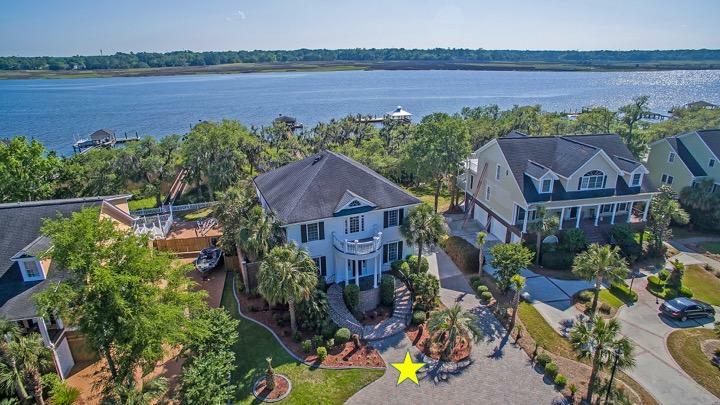 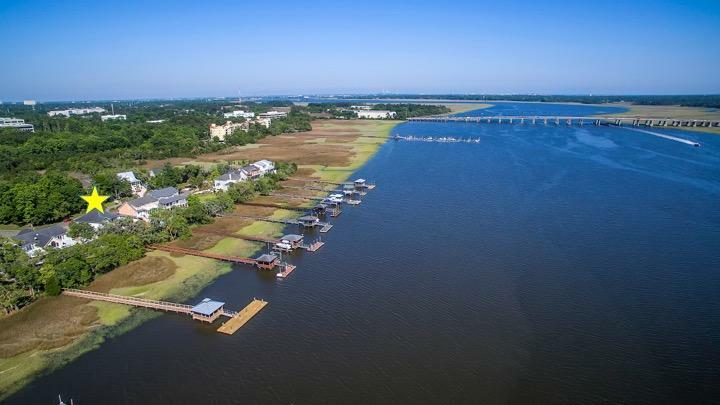 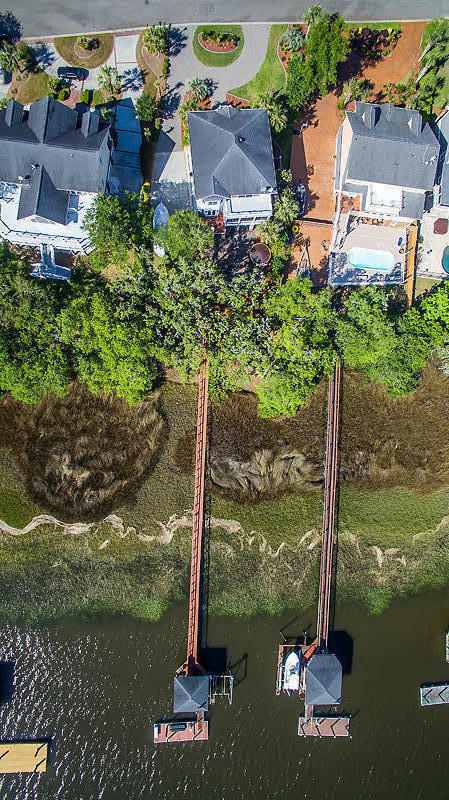 Additional details include: - True deep water property with a depth of 10 feet at low tide and 16 feet at high tide. 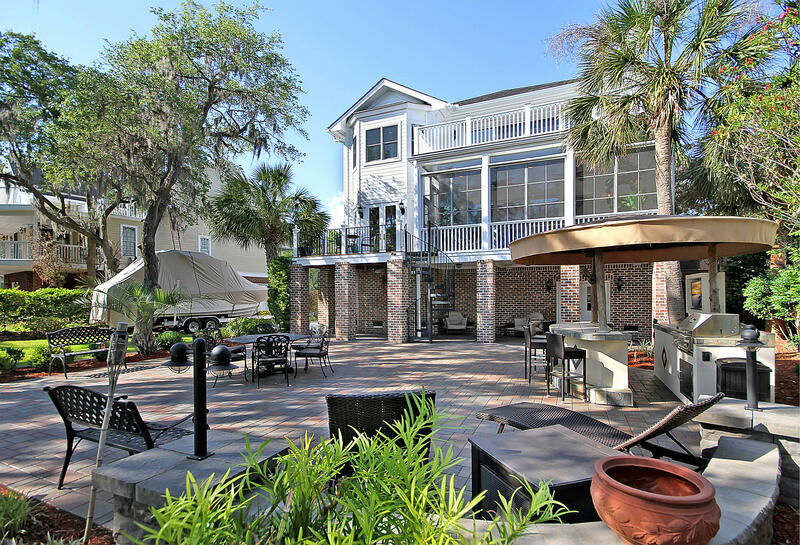 - Main floor boasts a 2-story foyer, 10-ft. ceilings, a bedroom suite with built-in cabinets, a powder room, elevator access, a large formal dining room that walks through to the butler's pantry and then into the kitchen and eat-in area, a great room with a fireplace and wet bar, a screened-in porch/sunroom, and a deck overlooking the backyard and the water. 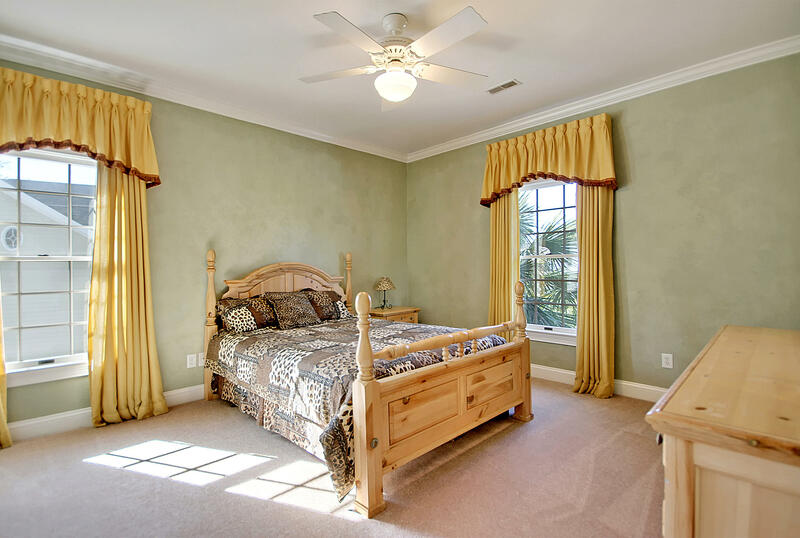 - Upstairs features the master suite and balcony, 9-ft. ceilings, elevator access, the laundry room with built-in cabinets and a washer and dryer that CONVEY, and two guest bedroom suites. 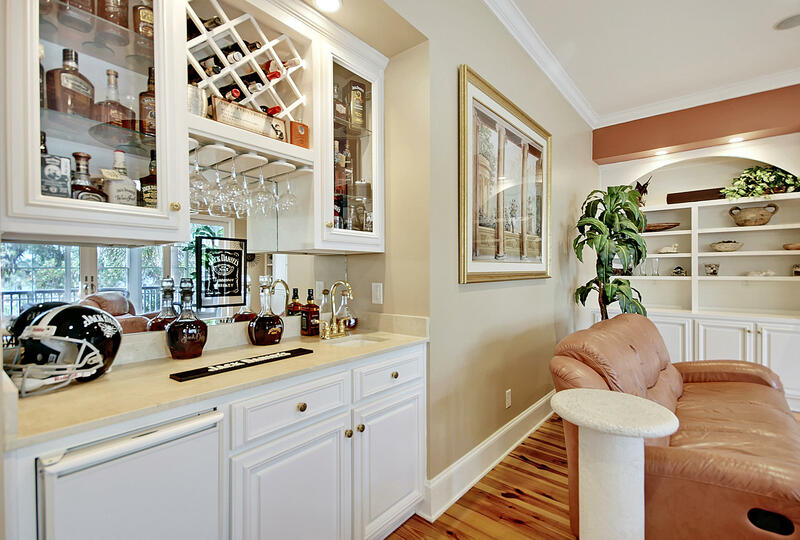 - Gourmet kitchen features an eat-in area with access to the deck (perfect place for morning coffee), a large breakfast bar, a butler''s pantry, granite counters, stainless appliances, a gas range, double wall ovens, a built-in microwave, TONS of cabinet storage space, and ample counter prep space. 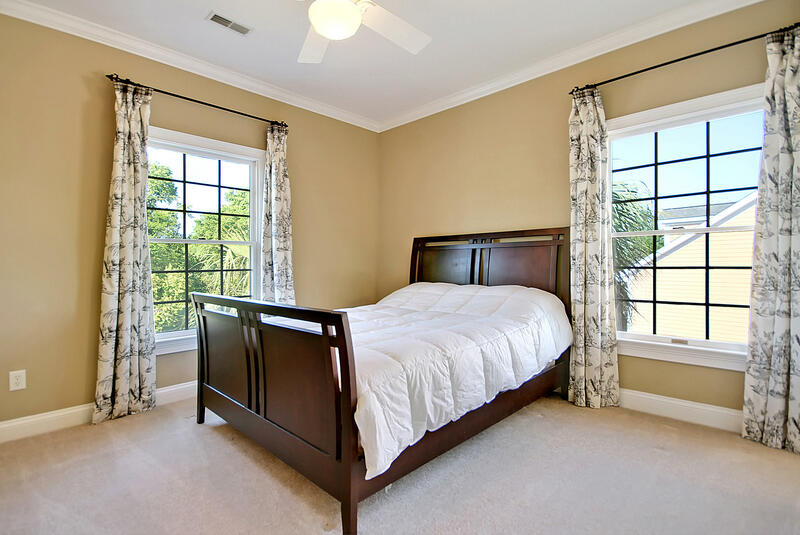 - Huge master suite features access to a large private balcony with vistas of grand oaks, marsh, and the Ashley River; a large walk-in closet with a custom shelving system; and a spacious ensuite bath with dual vanities, a jetted soaking tub with a view, a separate shower with mosaic flooring tiles and tile surround, a separate water closet, and lots of cabinet storage. 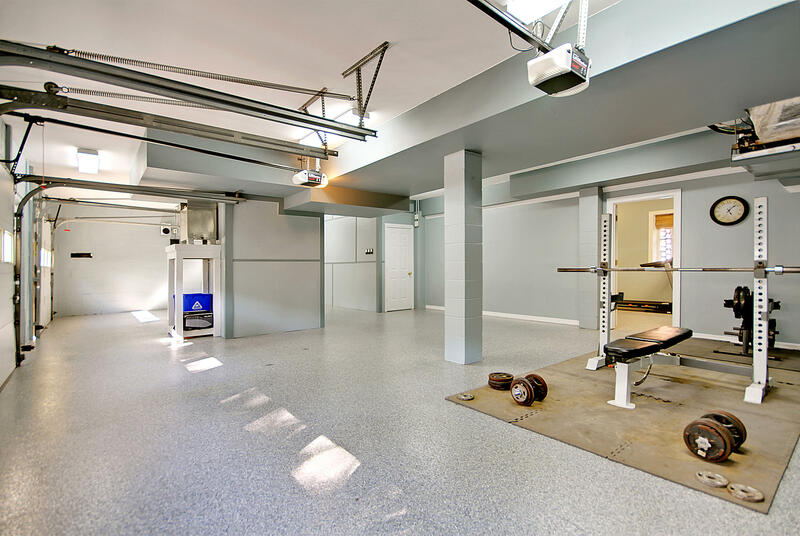 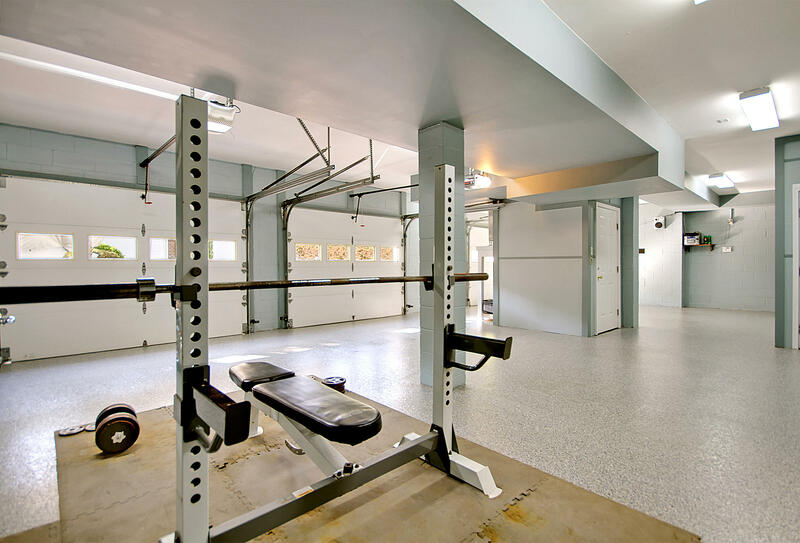 - Incredibly clean, painted 3-car garage offers epoxy-coated floors, elevator access, workout/exercise/flex space, a separate workshop room (not included in square footage), and a large room with a bar area and access to the paver patio (also not included in square footage), which is currently used as an office, but would make a great game room or man cave. 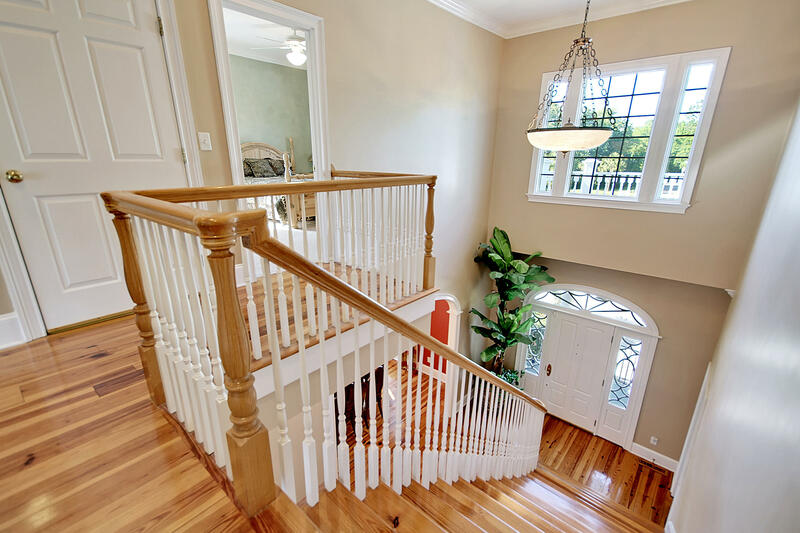 - Elevator access on each of the three floors. 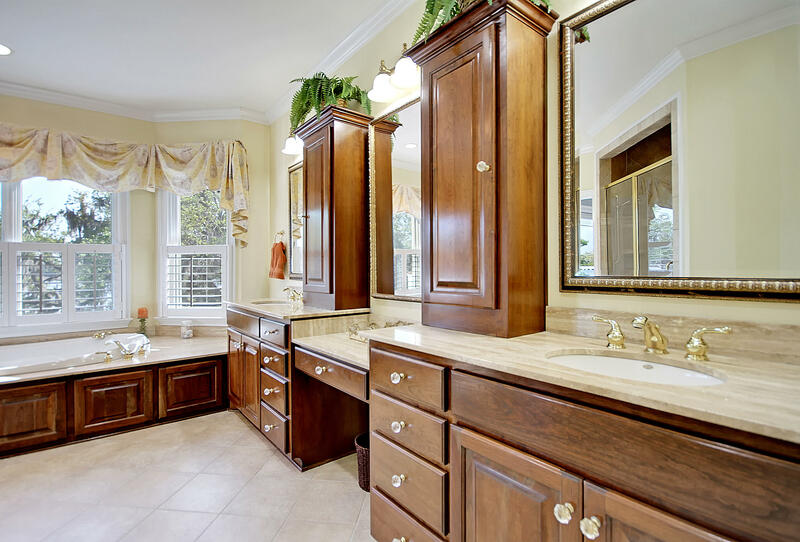 - Built-in stereo and alarm system. 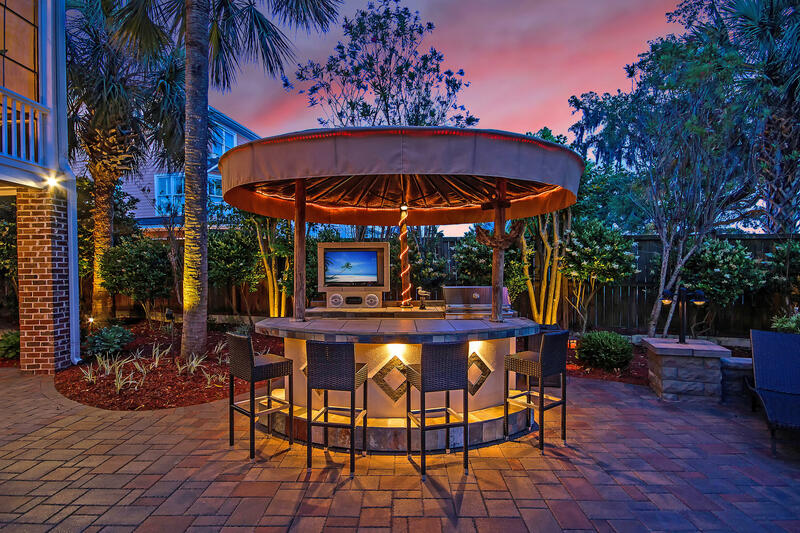 - Cabana/outdoor covered bar and grill area features a T.V. 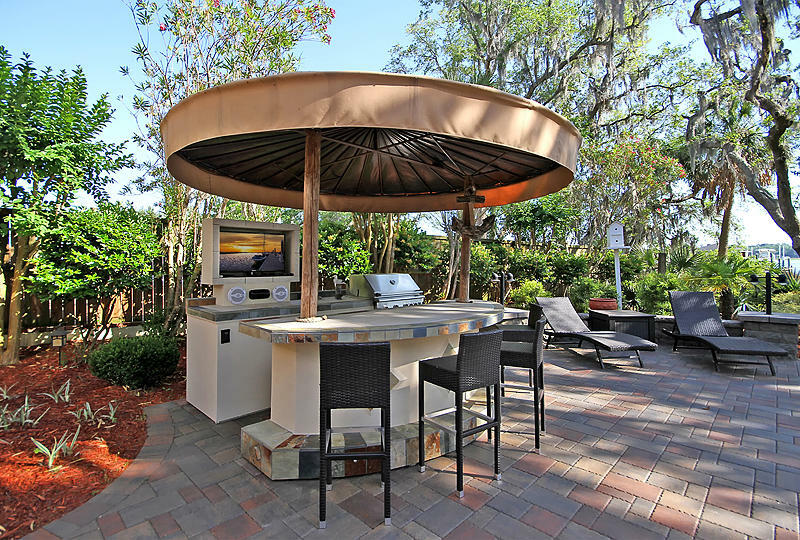 hookup, speakers, a BBQ grill, a fridge, and bar seating. 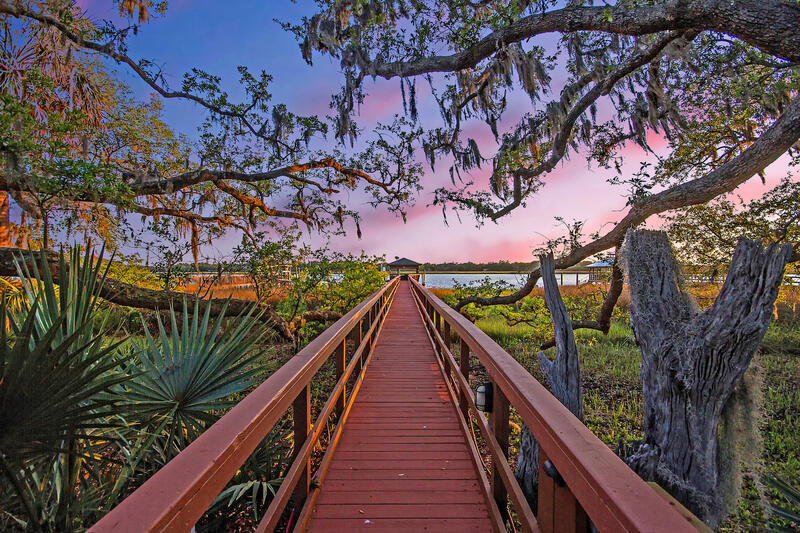 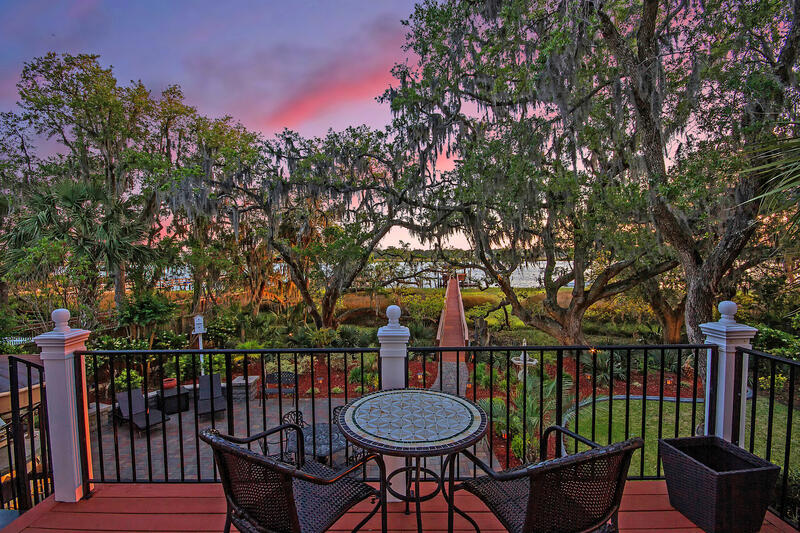 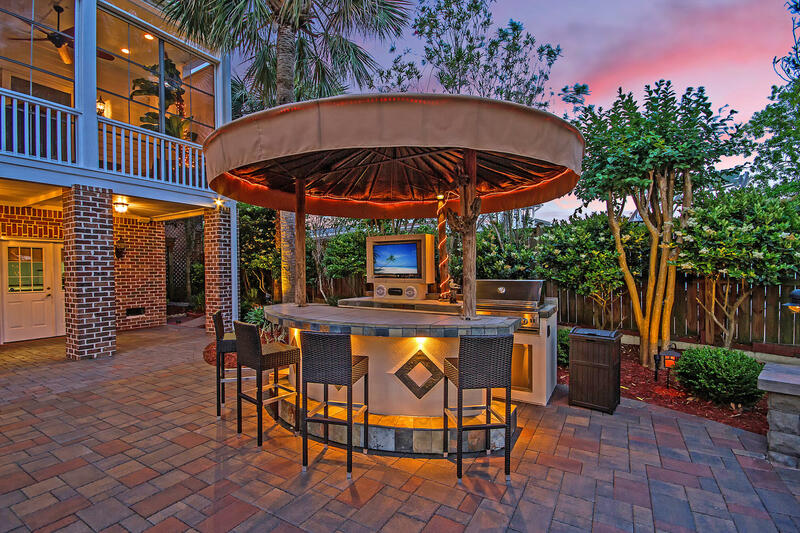 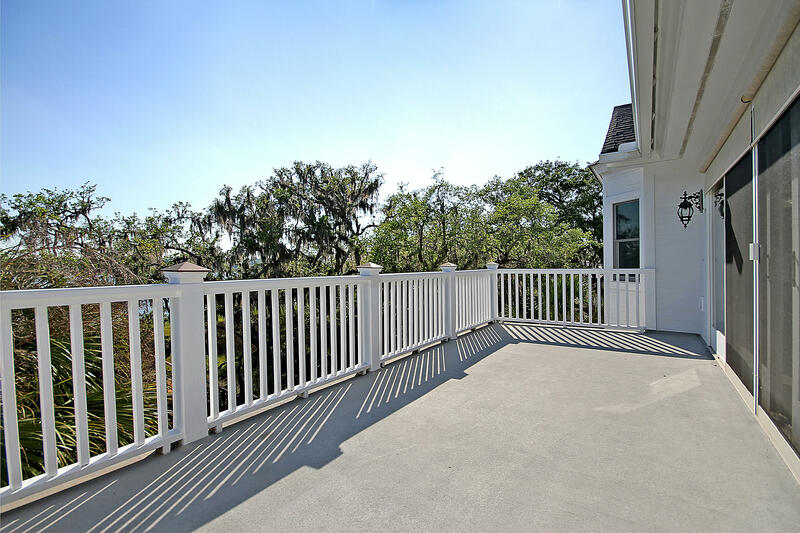 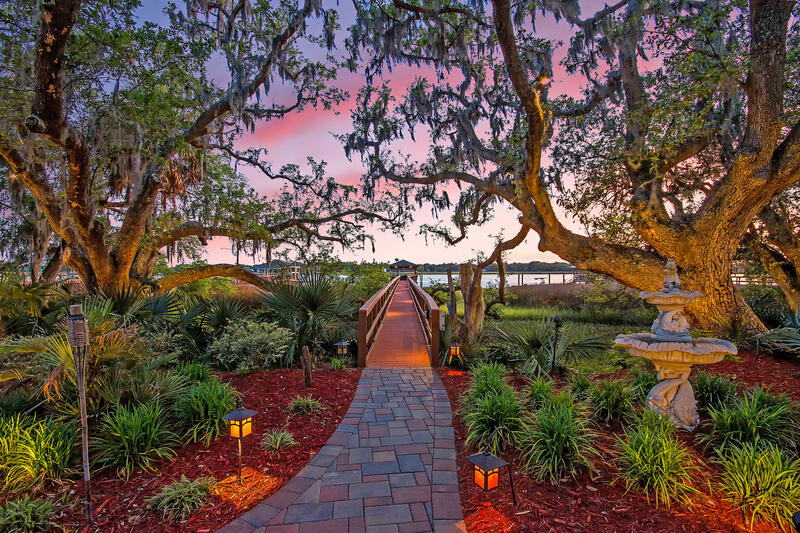 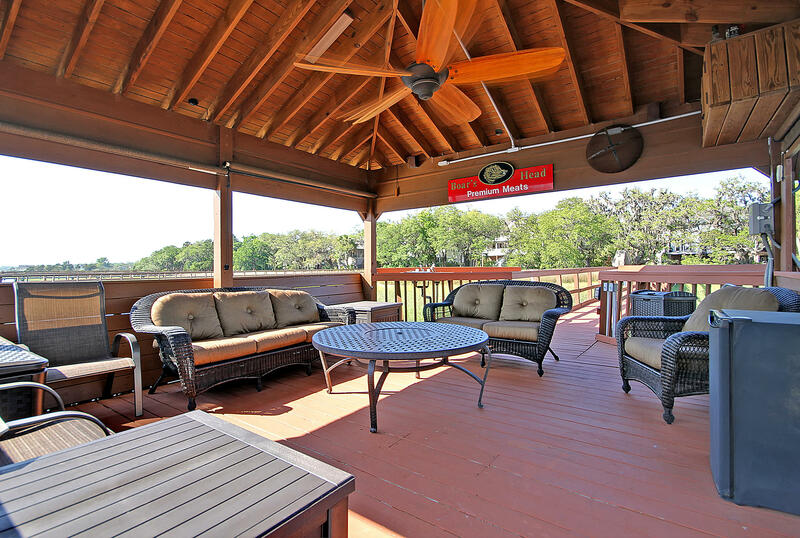 - Backyard features exquisite landscaping, custom landscape lighting, privacy fencing, outdoor storage space, amazing live oak trees, brick paver patio and walkways, a cabana with a bar/grille area, and access to the deep water dock. 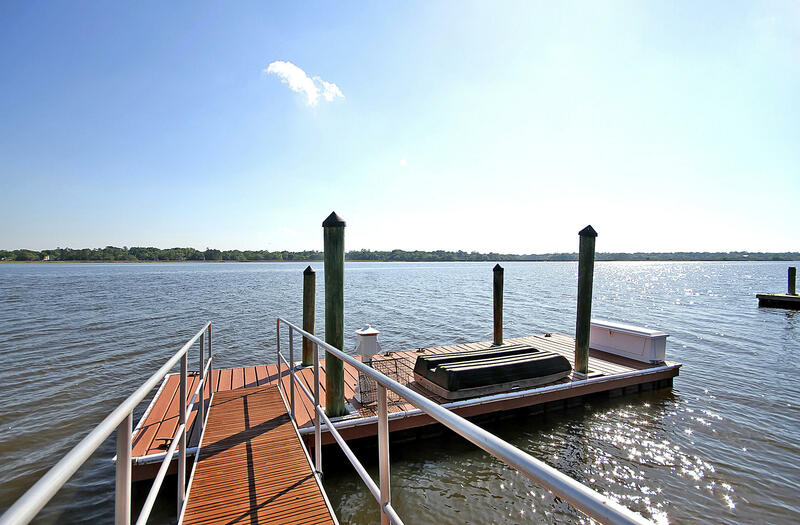 - Deep water dock has been meticulously-maintained and recently-resurfaced. 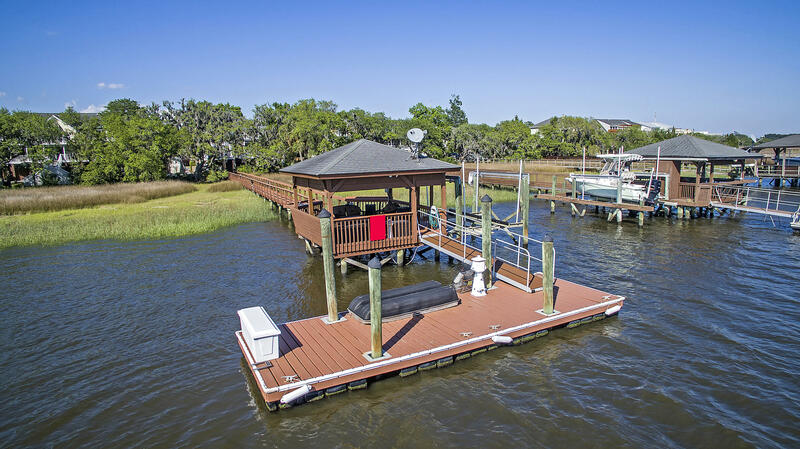 It features a dock, a boat lift, a gangway, a floating dock, and a large covered pier head with a T.V. 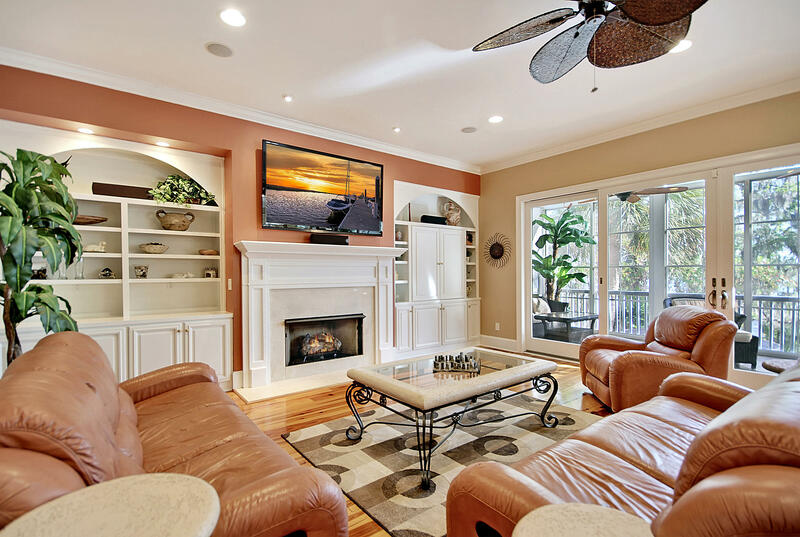 hookup, mini fridge, dual sinks, and storage -- the perfect place for watching your favorite sports teams or relaxing with friends and family. 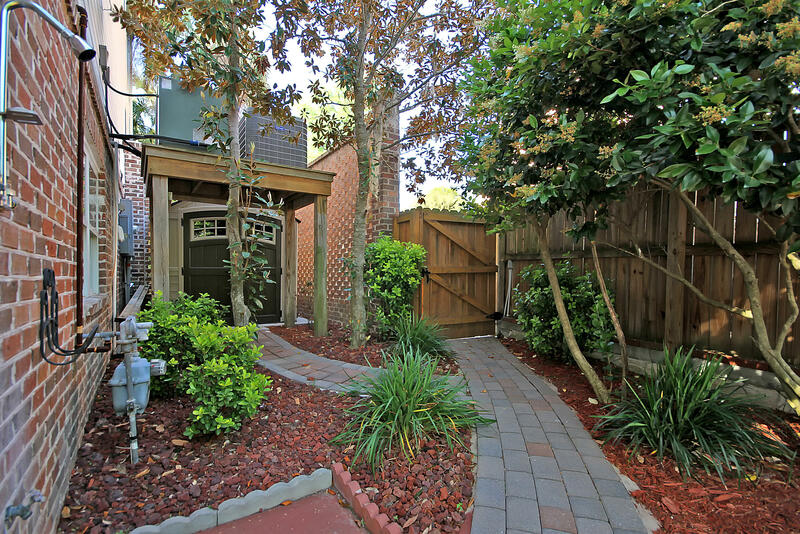 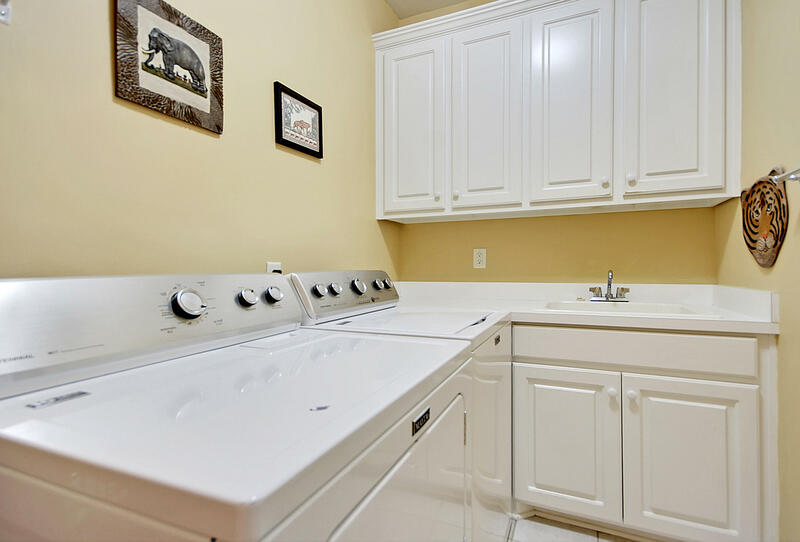 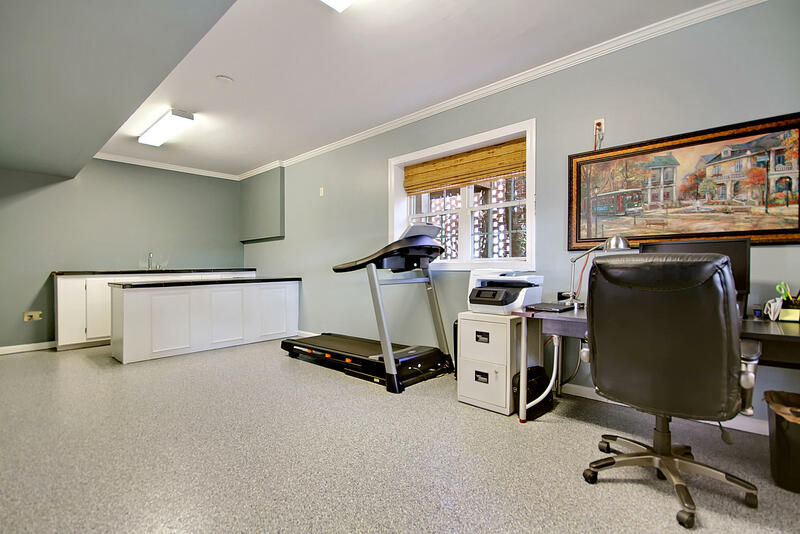 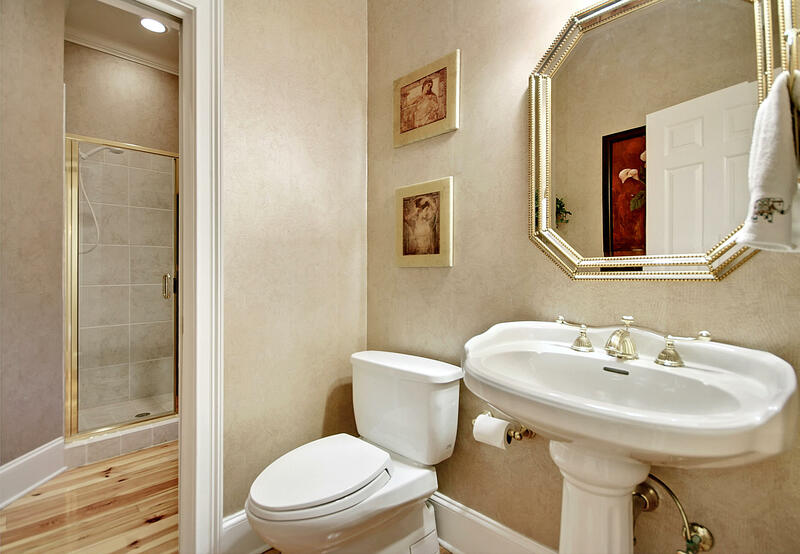 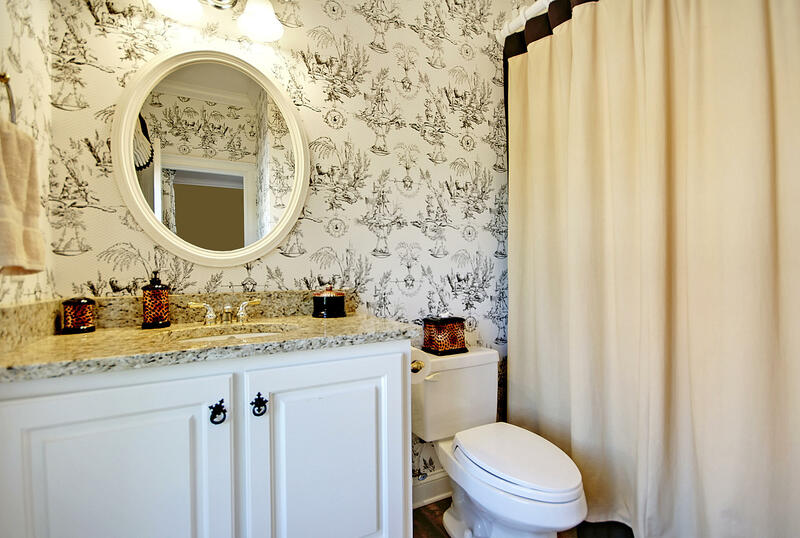 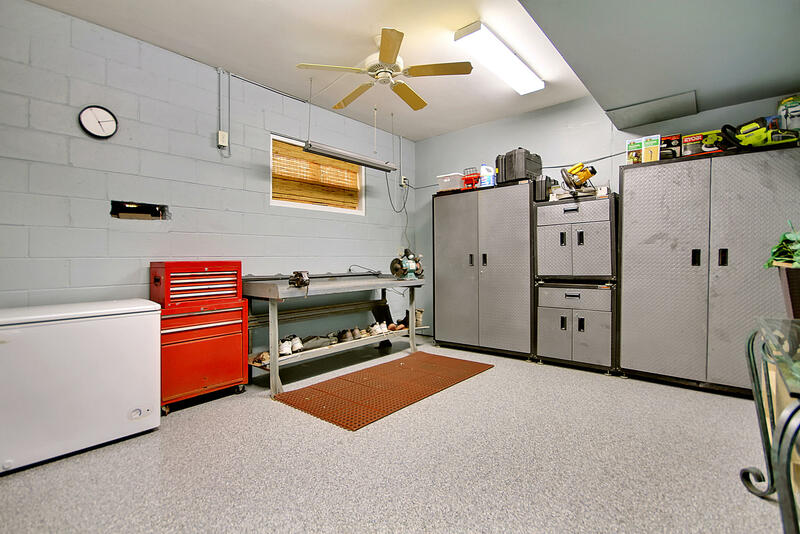 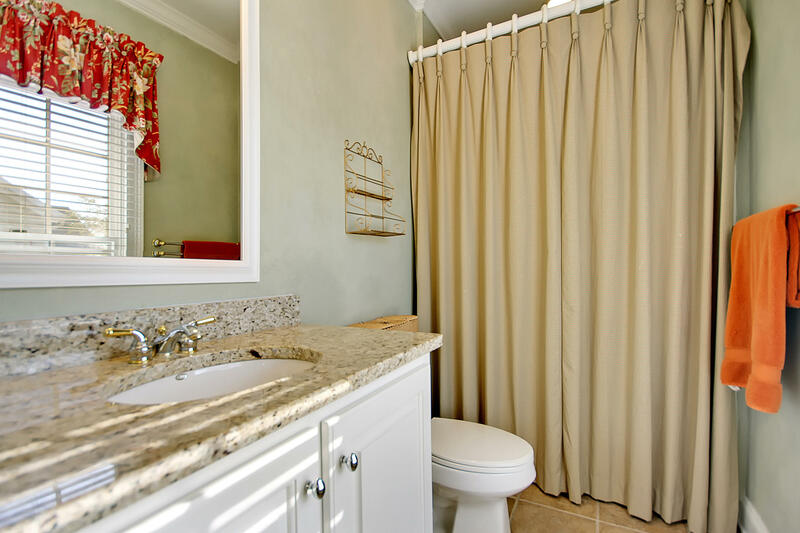 - Large parking pad outside 3-car garage offers ample space for guest parking or boat storage. 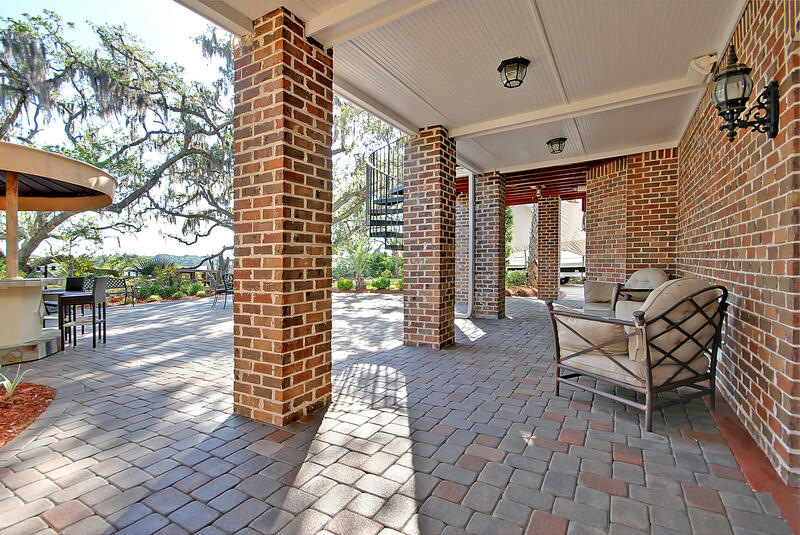 - Circular driveway, back patio, and various walkways around property made of elegant brick pavers. 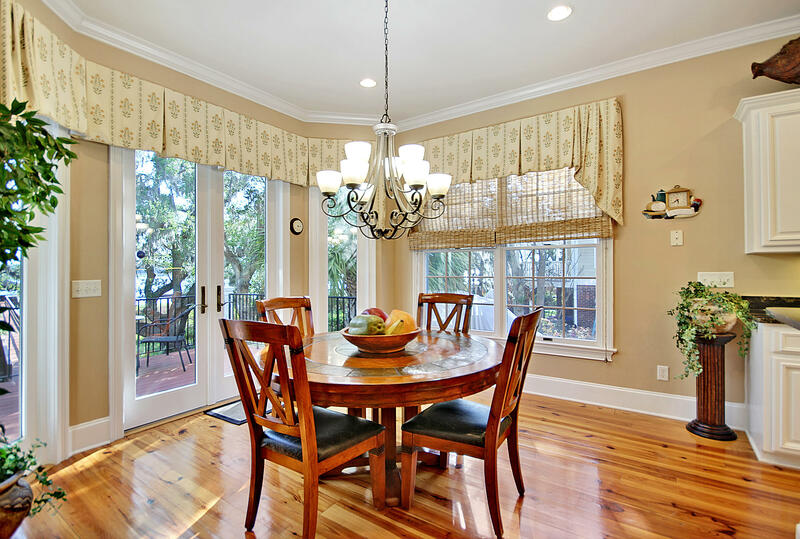 - Termite bond in place with Champion Pest Management.